8. 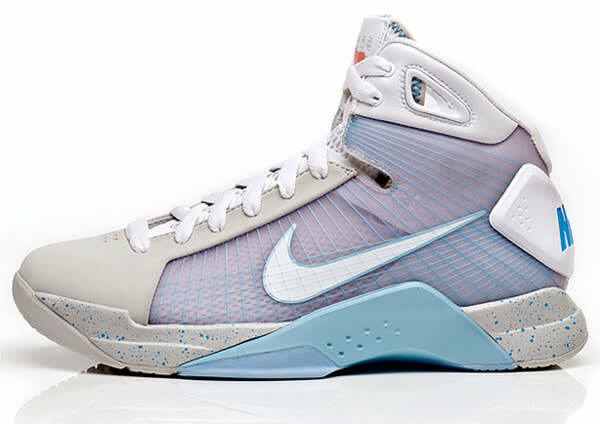 Nike Hyperdunk "Marty McFly"
Complex says: The Nike Air MAG is arguably one of the most iconic Nike shoes in history. After years of sneakerheads petitioning for Nike to release the MAG, Nike granted their wish (sort of) in the form of a Hyperdunk. With big releases in LA and NYC, hundreds lined up for a piece of history with only a handful walking away with this limited shoe. A few years later the people got what they wanted — in a more orderly, if more expensive fashion.